Red Hook, Brooklyn is awesome, and MVS Studio is proud to call this neighborhood our home. Our presence is felt in the neighborhood when our doors are opened for passerby to take pro quality selfies with our photo booths, and when a nightly projection of clips and films is shown on our storefront. According to Ben, inspiration for the book began while working in the studio when he and a co-worker tried to figure out the relatively few ways you can drive or bike into Red Hook. “We could only count five streets you could take, and I wondered if we were missing any.” In the spirit of the ‘Gentleman Scientist’, Ben started to document every access point, as well as some theoretical ones, and compiled them into this book. 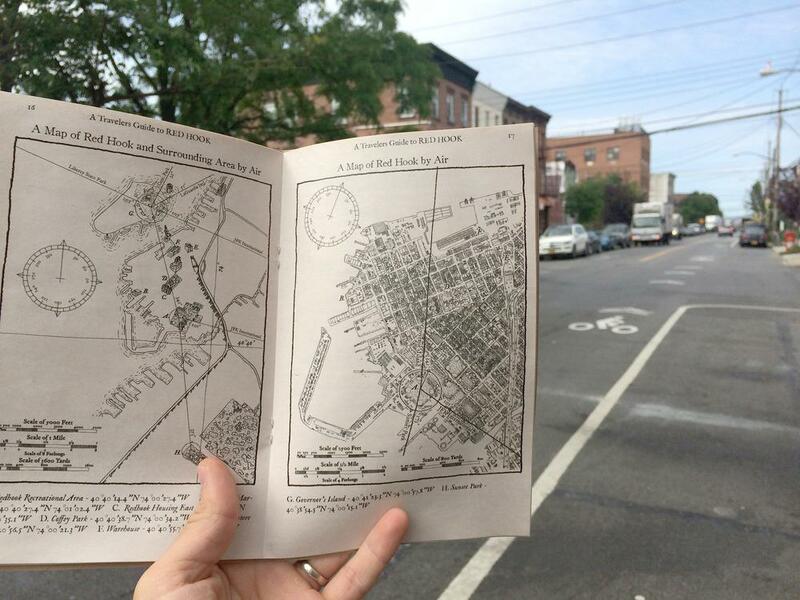 The book offers hand drawn maps for travelers wishing to visit by land, sea, or air (presumably by ‘airship’) as well as a ‘brief’ history of Red Hook that begins with the Big Bang and the creation of the Universe. 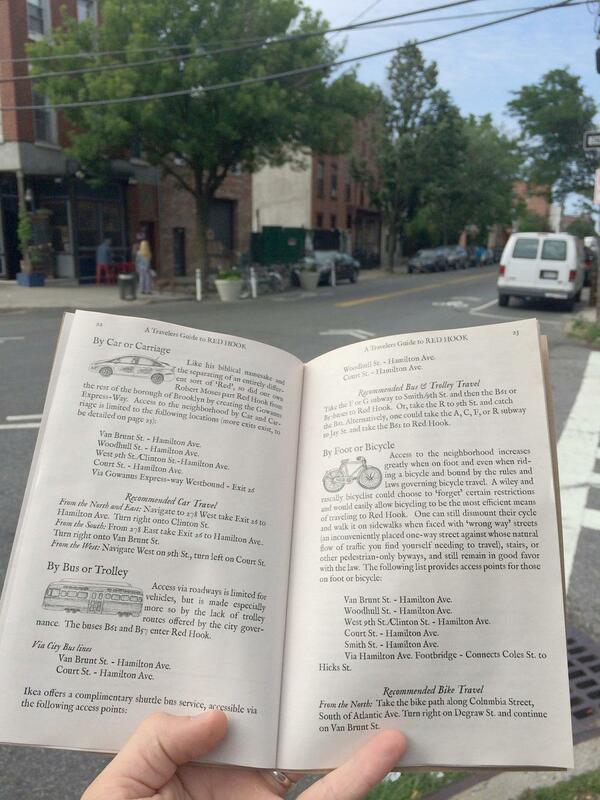 “A Traveler’s Guide To Red Hook: Part 1” can be purchased for pocket change at Foxy and Winston, while the pamphlets are being left in various Red Hook establishments, free for anyone lucky enough to come across one. We are told to be on the lookout for “Part 2”, which will document the peoples and places of Red Hook.